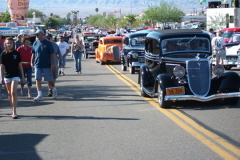 Cars starting staging at 1:00 PM on McCulloch Blvd. 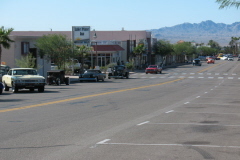 between Smoketree and Riviera, waiting for the street to be cleared. 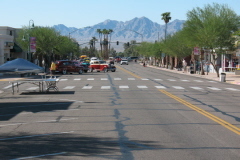 The only vehicles allowed to park on the " Main Street" section of McCulloch Blvd this year, were those entered in Run to the Sun. 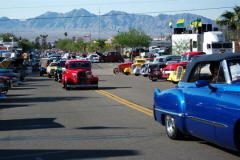 When the gate was opened at about 2:30 PM, cars at the head of the line headed for their favorite places on the boulevard to park. 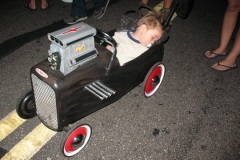 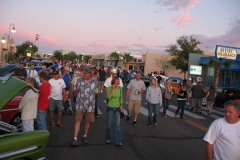 As the street was filling with cars, it was also filling with the spectators that were coming to view them. 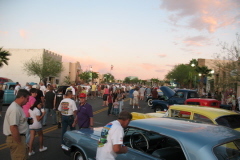 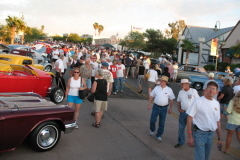 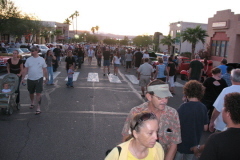 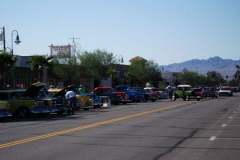 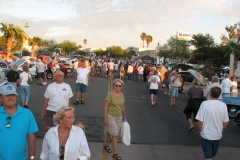 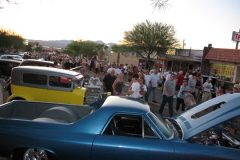 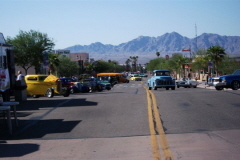 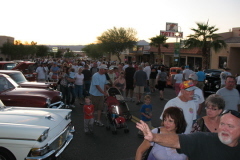 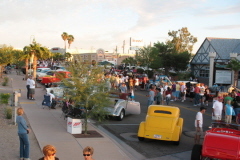 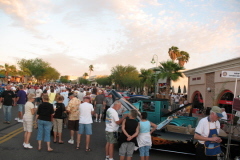 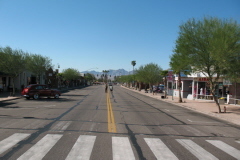 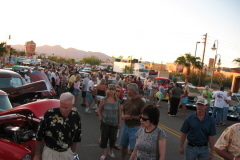 Cruise night was scheduled from 4:00 PM until 10:00 PM and soon there were thousands of spectators viewing the cars and trucks while enjoying the evening and mid 80 degree temperature. 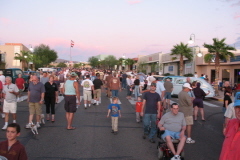 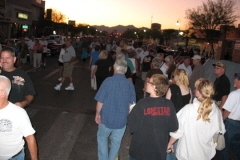 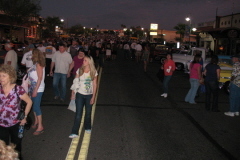 The street was once again filled from end to end and curb to curb with people.